Nov. 21 saw the start of King David High School’s now-established RAC Week. Started as part of the Random Acts of Kindness program – adapted as Random Acts of Chesed – this is a five-day celebration of paying it forward. Whether it’s picking up garbage, helping the homeless or moving furniture, every activity gives the students a chance to experience the rewards of helping others. RAC Week takes the students outside their comfort zones. 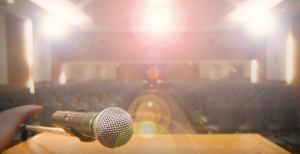 According to the director of Jewish life at KDHS, Ellia Belson, this year’s destinations were chosen based on feedback gleaned from last year’s offerings. “The Grade 12s wanted to go where there was the greatest need,” she said. Under the guidance of teacher Matt Dichter, Grade 8 student Noam accompanied Food Stash Foundation on their daily rounds. Started by David Schein, a former teacher at KDHS, the foundation was created to help reduce food waste in the Vancouver area. FSF collects leftover items from grocery stores, such as Whole Foods, at the end of each work day. Food Stash then delivers the food to where it’s needed most: more than 15,000 kilograms of food since September, said Schein. On the morning of Nov. 22, deliveries were made to the Kettle Society, Mount Pleasant Neighborhood House, Tenth Church and Oasis Café. The RAC group from KDHS rescued food from COBS Bread, Greens, Fresh is Best and a number of other sites. The numbers speak volumes. Every year, each Canadian throws away approximately 127 kilograms of food. 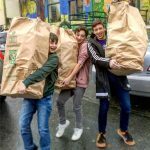 KDHS kids rescued 135 kilograms in a single day. 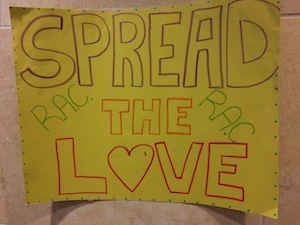 With its emphasis on community service, RAC Week is a concentrated course in educating the emotions, as well as the intellect. Noam described how “it felt good to give back.” Asked whether his work with Food Stash had had an impact on his daily life, he answered with a definite yes. His intentions were clear, as he explained, “even finishing what’s on your plate” can have an impact on food wastage. RAC Week offers a curriculum of social responsibility best taught outside the classroom, where students develop an awareness of other kids’ lives and struggles. The conversations that take place after the outings present an opportunity to reflect on these struggles and express gratitude for their own station in life. It also allows the students to teach one another, under Belson’s guidance, about what each group learned.